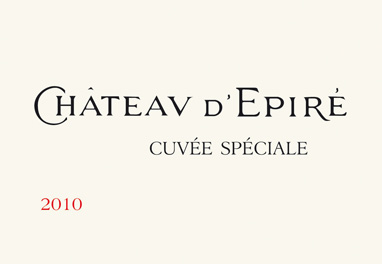 I have now gone through a few producers across the Savennières appellation, including Château d’Épiré and Nicolas Joly. Most are not quaffing wines. They require patience and can be quite austere at first. It’s not common to require white wines to “open up” but some of these do. I would be interested on hearing from members of the community their experiences on this appellation and any indications on which other producers to try. Thanks in advance! Chateau de Chamboreau produces a number of different xhenins with varying amounts of oak used . The ones who have time to develop in bottle are by far superior, however the 2015 is also a lovely wine . I haven’t seen them in the UK recently (TWS used to stock, not sure why they don’t anymore), but have had some amazing wines from Domaine de Belliviere in the past. Edit - sorry, just realised I got my Savennieres and Jasnieres mixed up. Still, if you’re interested in other sources of complex Loire Chenin Blanc, they’re worth a go. I have this in my basket out of curiosity. I would be interested on hearing from members of the community their experiences on this appellation and any indications on which other producers to try. Personal recco. - try to find some Ch. Pierre-Bise. On a general level, here’s a link to Richard Kelley’s website, with some more information for you, including names. I was impressed with the quality and price of Baumard. Took a fair few bottles away with us!